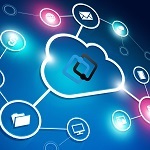 Brett McMillen of Amazon Web Services and Keith Johnson of Leidos discussed in a Federal News Network article published Tuesday about the need for government agencies to focus on mission outcomes when adopting cloud and other technology platforms. McMillen, director of federal government at AWS, said he thinks the latest technologies may not always address the needs and requirements of agencies and citizens. “But what happens so often is the solution that’s going to have the biggest impact for the federal government, and the biggest impact for the citizens, sometimes is not that latest greatest technology, not that latest greatest shiny object,” McMillen said. Johnson, chief technology officer of defense and intelligence business areas at Leidos, talked about innovation. “Innovation happens when people rise above the daily grind and ask themselves ‘what else is out there,’” Johnson said.